Divinities, humans, female monsters and animals, hermaphrodites, and transsexuals are all here. 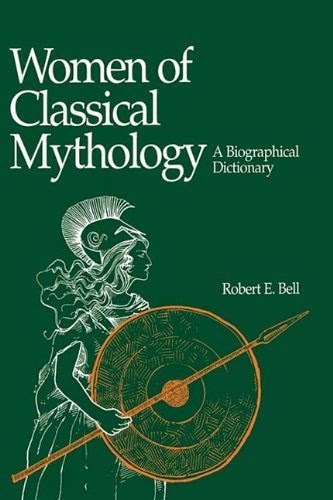 Women of Classical Mythology offers unprecedented access to information on women largely neglected in reference works on Greek and Roman myth and gives a fresh look at the better-known figures. Each of the 2,600 entries places its subject both in the overall context of classical myth, and in the frame of reference of her better-known counterparts. For each figure there is a description of her particular contribution to folklore, and a list of the various poems, tragedies, epics, and other types of stories in which she plays a central role. In addition, the handy special index, "The Men in Their Lives," allows readers to locate a particular woman known primarily through her relations. The female characters in classical mythology often provide clues to genealogical, chronological, and historical puzzles. This book will be welcomed by classical scholars for the insights and relationships it reveals.